May Door of the Month - Seaside | The May door of the month combines Holidays' newest door style, Seaside, with the new 125 edge, in Granite, a new deep grey, on Cherry. 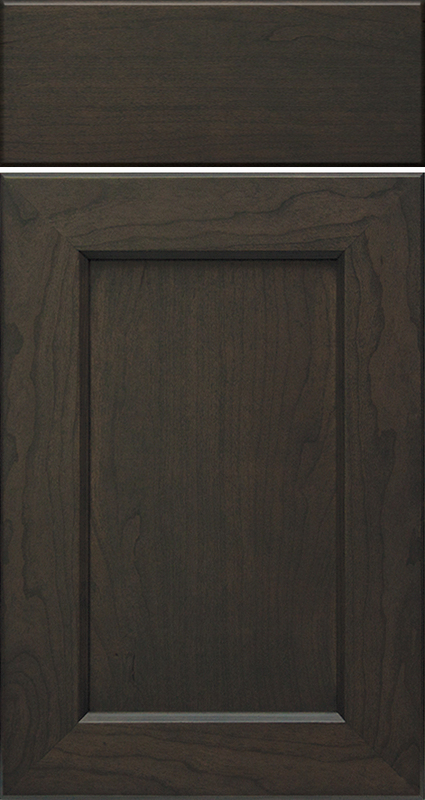 Seaside is a beveled shaker mitered door available with a flat center panel. The stiles and rails are available in 2 1/4" - 3". Seaside is available in both Framed and Frameless.